Arthrophyllum sp. 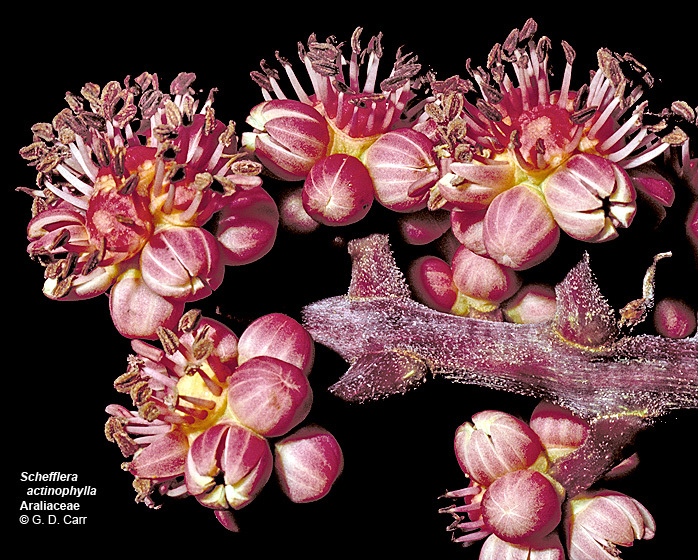 Note the palmately compound leaf, 5-merous flowers, umbellate inflorescence and the calyx that forms a rim with minute teeth around the summit of the inferior ovary. 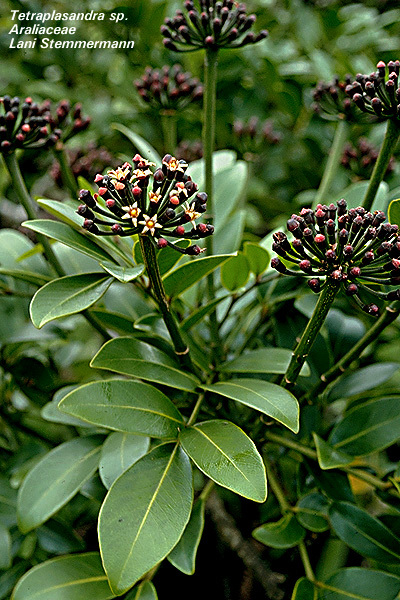 Cheirodendron platyphyllum, 'olapa. 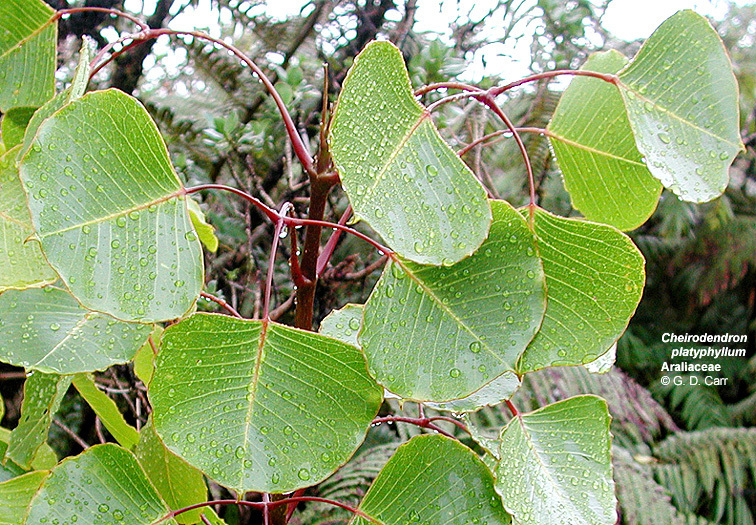 This Hawaiian endemic species has leaves (and leaflets) that quake like aspen (for the same reason, i.e. flattened stalks). 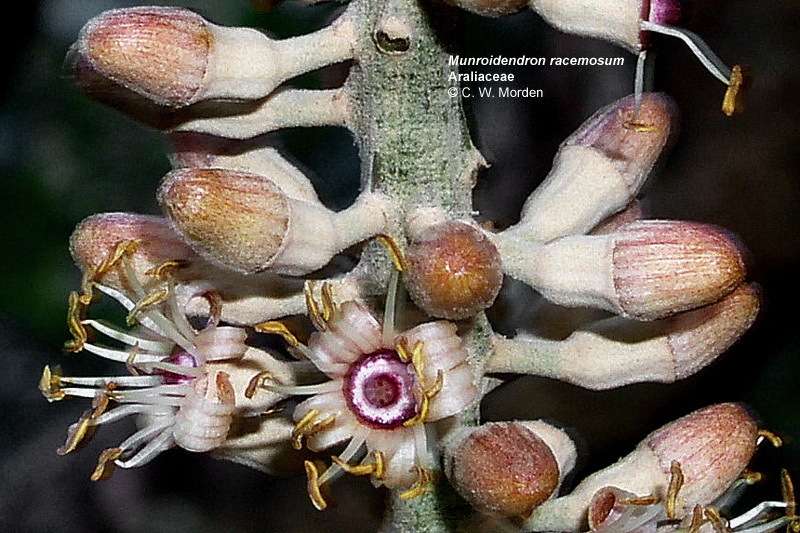 Munroidendron racemosum. 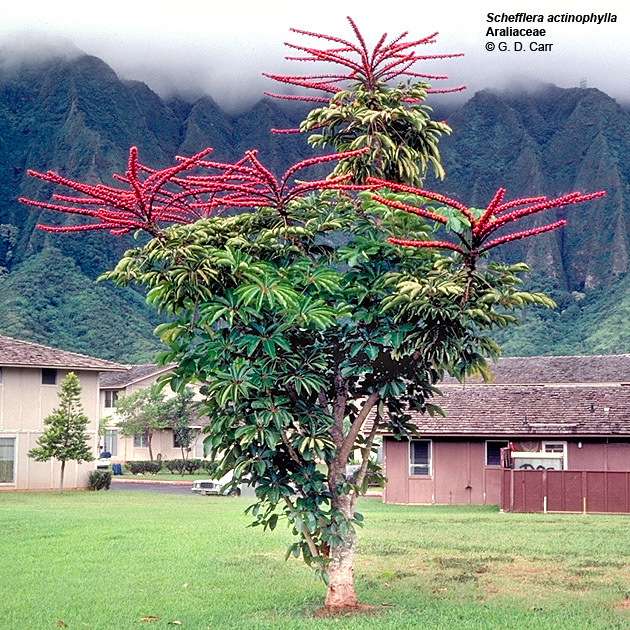 This is a rare Hawaiian endemic genus that has the flowers in racemes instead of the usual umbels found in the family. 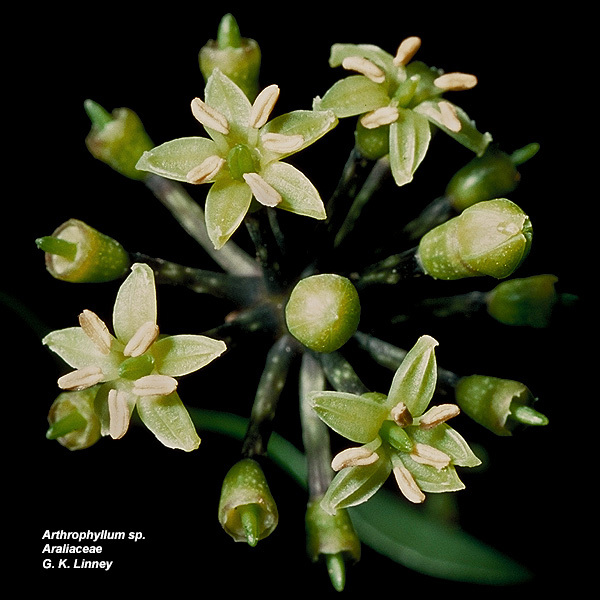 It also has numerous stamens and irregularly connate petals. 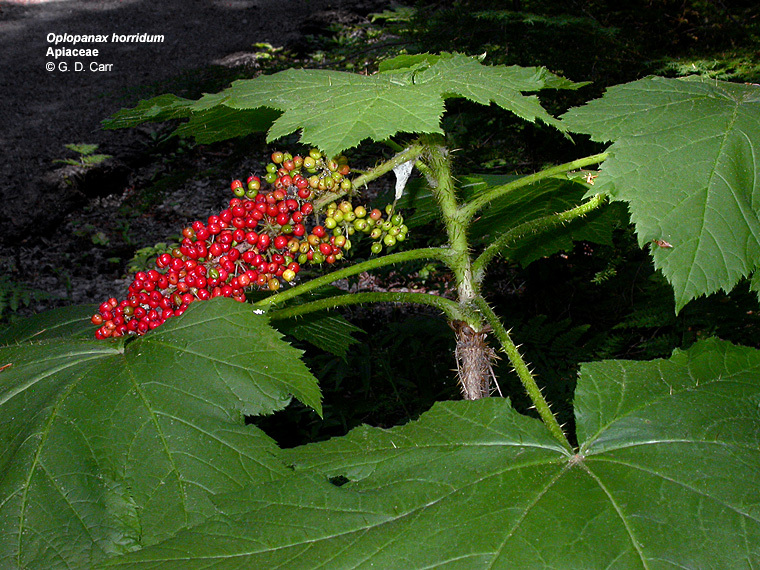 Oplopanax horridum, devil's walking cane, devil's club, Hackleman Old Growth Trail, Cascades, OR, July 2003. 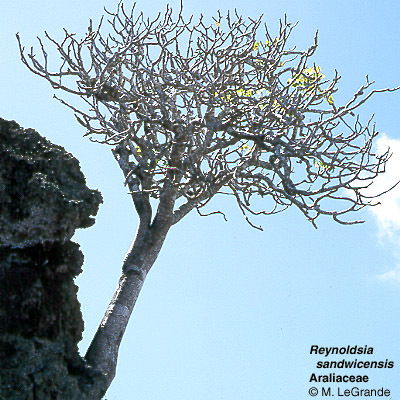 Reynoldsia sandwicensis, 'ohe. 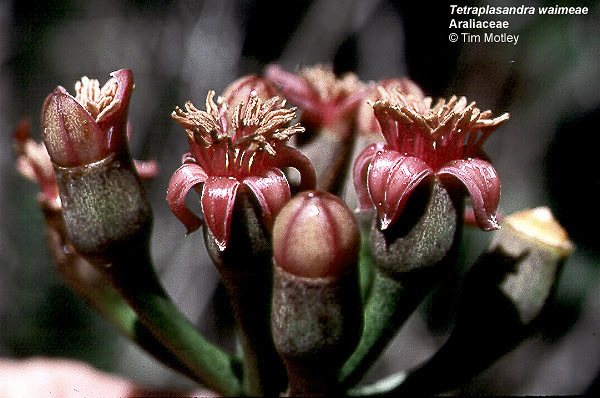 In this endemic Hawaiian species the petals are often connate in pairs or threes, giving the appearance of commonly 4 or 5 petals. There are usually about 10 stamens. 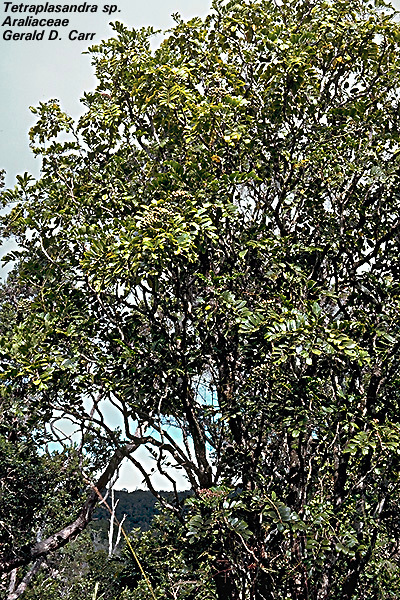 Schefflera actinophylla, octopus tree. 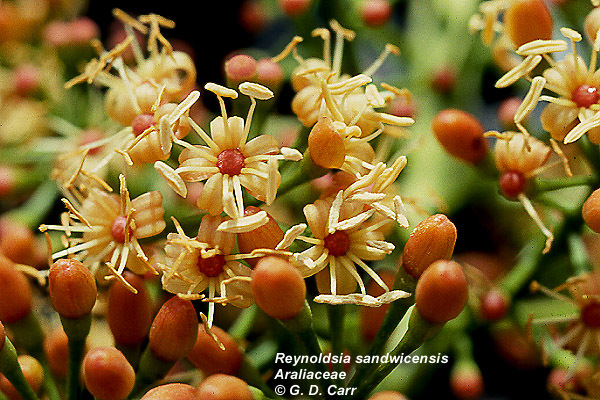 This ornamental species from Australia has flowers with about a dozen perianth segments and stamens. The petals fall away that is, are caducous as the stamens expand. A conspicuous disk is present and a style is lacking. 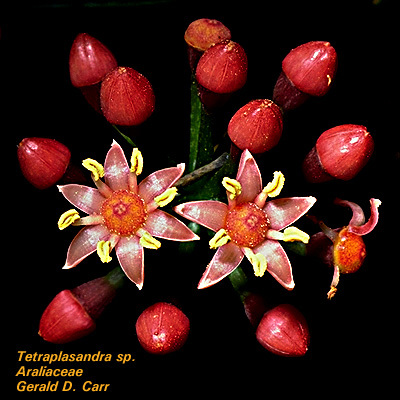 Tetraplasandra oahuensis, 'ohe mauka. 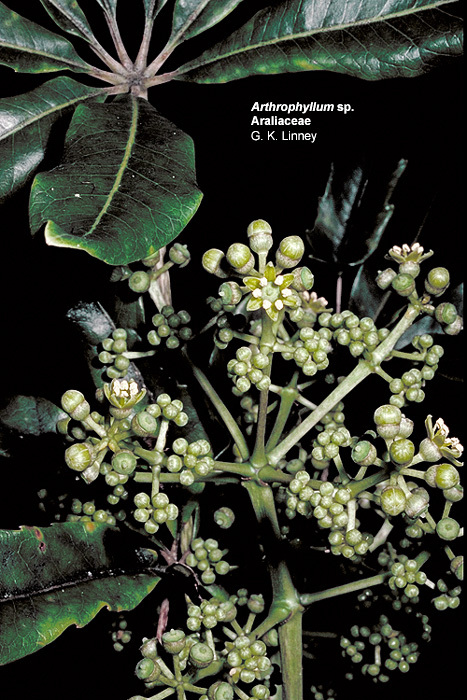 Note the pinnate leaves, umbellate inflorescence, and flowers with five and six petals and alternating stamens; the inferior ovary and nectary disk are also evident in this this endemic Hawaiian species. 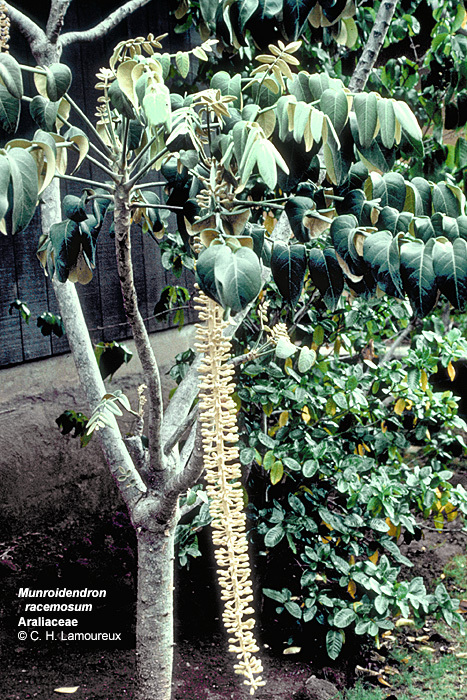 Tetraplasandra waimeae, 'ohe kiko'ola, endemic genus.